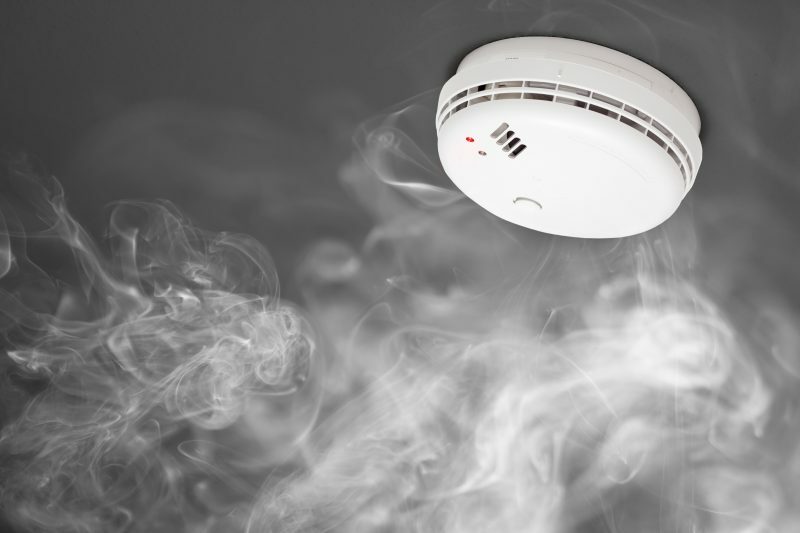 You already know how important it is to have several fire alarms installed in your home for safety purposes; however, what happens if the alarm keeps going off at random times? This is not only unpleasant, it can be downright annoying. The good news is, these random alarms can be stopped. The key is to figure out what’s causing them. Here you can learn about some of the most common causes of fire alarm issues and how to fix them. If you are facing persistent false alarms, then you may want to consider how your smoke detectors are placed. If they are right over the area that produces a lot of smoke or steam, then you may want to move them. While dirt and bugs aren’t pleasant, they are pretty simple to remove from your home’s smoke detector. The fact is, the movement of a small pest or the presence of dust can be enough to set off the fire alarm. Dust often reflects the light particles, similar to what smoke does, which can cause a false alarm. The best way to clean this is by removing the outer casing and then manually removing debris or dirt. You can use an aerosol cleaner or vacuum attachment to remove the smaller particles of dust and be sure to pay close attention to the sensors. Bugs can also be an issue. They love dark areas and the smoke detector is a great place for them to hide. If you have bug problems, it may be best to contact a pest control specialist for help. After all, harsh chemicals from store-bought bug sprays can cause serious damage to your detectors. If dirt and bugs aren’t the problem, then you need to check the battery. In some cases, a smoke alarm can give off a false alarm if the battery has begun to die, or if it’s not properly connected. Be sure to check this and replace the batteries if the nuisance alarms continue. Humidity can actually mimic the effect of smoke and result in a false alarm. If this is a problem, try to redirect the steam. If moisture does wind up getting in the smoke alarm, the only course of action is going to be to replace it. If you are still dealing with false alarms, then it may be time to call in the professionals. They can find the cause of these and help ensure they don’t keep happening. Don’t ever disconnect the smoke alarm, as this leaves your family and home vulnerable to a fire. Being informed, taking action and calling the professionals is the best way to handle any issue that may be present.